We all know specially bloggers and website publishers that put advertisement on their site that online ad companies like Google adsense usually pay publishers more than thirty days after the’ve run their advertisements on the publisher’s site. Other ad networks can sometimes have as much as a 100 day lag between the time that they say you’ve earned money and when they send it. This delay can really hamper the growth of an online company, and there was a real need for a factoring company to fill this need. Factoring is a financial transaction where a business sells it’s accounts receivables to a third party at a discount in exchange for immediate money to finance their continued business. Factoring is different from a bank loan, because the emphasis is on the receivables and not on the firm’s credit worthiness. In the offline world, if a manufacturer received an order for 100,000 units from Shoe Mart (SM), for example, they could take their purchase order into a commercial bank and get a loan to finance the manufacturing. Online, though, there hasn’t been a way to do this, until now. 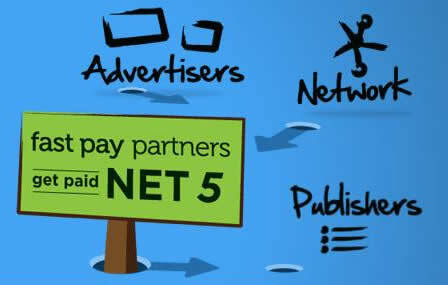 A new company in the U.S. Fast Pay allows you to get paid faster for your online ad sales. In exchange for a small fee (2.5% per month) they will immediately loan you 70% of your previous month’s ad sales five days after the end of the month. Later, when the ad sales company sends your check, they’ll will send it directly to Fast Pay, who’ll collect their fees and send you the balance. So, if for example, you earned $10,000 from Google Adsense in the month of January, they’ll send you $7,000 February 5th, and after Google sends them your check in late February, they’ll send you the remainder ($3000) minus their fee ($175). 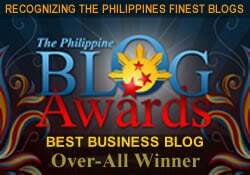 This is a good negosyo idea for the Philippine market specially that the business process outsourcing is booming. Are you referring to fastpay.com?